Hannes Wolf has emerged as a surprise target for Arsenal. 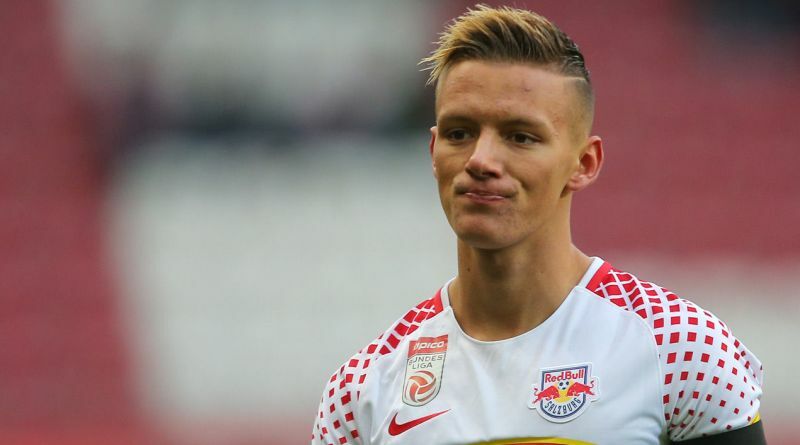 The reports in England suggested that Arsenal are linked with a move for RB Salzburg midfielder Hannes Wolf. The 19-year-old has been subject to interest from various European clubs. The Austria international has two years left on his current contract which expires in 2020. Wolf made 70 appearances across all competitions for RB Salzburg, scoring 16 goals and supplying 18 assists in return. The 19-year-old is considered to be one of the best midfielders in Austria. Hannes Wolf has represented Austria at Under-16 and Under-21 level, winning 11 caps and scoring one goal. Arsenal have built a reputation for recruiting young talent from within Europe, predominantly targeting those with sell-on value and immense potential. The Arsenal manager has been impressed by his performances this season and could make a move this winter. A big money bid from Arsenal could tempt RB Salzburg into selling their prized asset. Stylistically, he would be a great fit in Arsenal. How strong that interest is and whether Arsenal will make a move remains to be seen but it is certainly one worth keeping an eye on.